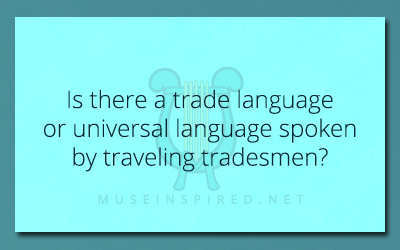 Cultivating Cultures – Is there a trade language or universal language spoken by traveling tradesmen? Cultivating Cultures - Describe a household's winter tradition. Cultivating Cultures - What is the currency like in your country? Cultivating Cultures - What is an old folk song that is popular locally?